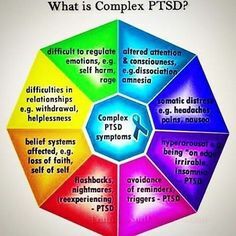 Complex post traumatic stress disorder (CPTSD), also known as developmental trauma or complex trauma, is a term that has been proposed to capture a constellation of symptoms which result from the stress associated with chronic neglect or abuse during childhood. This neglect/abuse occurs in the context of interpersonal dependence (which childhood is by definition) and particularly during significant periods of emotional and intellectual development. Interpersonal dependence refers to the qualities of being captive (having no viable escape or alternative) and of being reliant upon those who are mistreating you. The phenomenon of CPTSD is well researched but has not yet become an official diagnosis in the Diagnostic and Statistical Manual (DSM). CPTSD may develop in situations of chronic maltreatment by one’s own parents (or other caregivers e.g., foster parents or other relatives) or other situations wherein children are trapped or incarcerated for prolonged periods of time such as Indian residential schools, concentration camps or some religious cults. As mentioned above, in addition to having no viable escape (and thus having no choice but to adapt to the circumstances), children who become adult sufferers of CPTSD tend to have been exposed to repetitive or prolonged situations involving neglect or abuse (emotional, physical, and/or sexual) which took place during critical periods of emotional and physical development. Moreover, the perpetrators of the neglect/abuse are generally the very people who were supposed to be meeting the child’s practical, emotional and intellectual needs. Because the roots of CPTSD extend back to developmentally significant periods of time, emotional, intellectual and social development can be truncated or distorted and core aspects of a person’s functioning may be affected (sometimes severely). There are multiple symptoms associated with each of the areas noted above. The following is a brief description of some of them. Not all CPTSD sufferers experience all of these symptoms or to the same degree. Difficulties with affect regulation can include persistent or episodic dysphoria (depression), suicidal preoccupation, hyper-arousal, hyper-vigilance, intense or inhibited anger and the inability to be playful or to experience pleasure or joy. Alterations in attention can involve ADD/ADHD like symptoms, chronic busyness, difficulties focusing or concentrating, and preoccupation with the past or the future and difficulty being in the present. Problems with memory/consciousness include dissociation, amnesia, depersonalization/derealization and reliving experiences through flashbacks or ruminative preoccupation. Difficulties with self-perception include a chronic sense of helplessness or paralysis of initiative, feelings of shame/guilt/self-blame, a sense of fundamental brokenness, defilement or stigma, a feeling of being inherently different from others, a tendency to be harshly self critical and self abandonment (a tendency to neglect ones own feelings and needs). Alterations in perception of the perpetrator include a preoccupation with the relationship, unrealistic attributions of power to the perpetrator, idealization or misplaced gratitude, a belief in a special relationship with the perpetrator, and an acceptance of the belief system of the perpetrator. Problems with relationships with others can include a tendency toward isolation and withdrawal, difficulties forming lasting intimate relationships, a repeated searching for a rescuer, persistent mistrust of others, intense social anxiety and repeated failures of self-protection. Alterations in systems of meaning can involve the loss of a sustaining faith or belief in anything and a sense of hopelessness or despair. In his book “Complex PTSD: From Surviving to Thriving”, Pete Walker writes that CPTSD is most easily distinguished from PTSD through identification of five of its most common symptoms: emotional flashbacks, toxic shame, self abandonment, a “viscous” inner critic and the experience of social anxiety (p.3.). Each of these is described below. Emotional flashbacks involve the experience of regressing to the former feeling states of having been an abandoned, neglected or abused child. A flashback is usually triggered by something in the present which is reminiscent of the past that takes a person back to the overwhelming feeling states of the past in which they generally felt helpless and hopeless. During a flashback, a person often feels highly and inexplicably anxious as the fight/flight instincts are aroused via activation of the sympathetic nervous system. The emotional content of flashbacks generally involves overwhelming feelings such as fear, alienation, despair, depression and grief. Flashbacks range in intensity from mild to extreme and range in duration from seconds to weeks. Typically during a flashback a person feels small, fragile, helpless and afraid. It is not uncommon for flashbacks to bring up a feeling of toxic shame. This is the sense that one is not alright, i.e., that they are fatally flawed, inadequate, bad and unlovable. The sense of toxic shame that can manifest during an emotional flashback (as well as at other times) is thought to derive from a history of having been consistently neglected or rejected and/or from having been severely criticized as a child. Children get their sense of their own goodness by being reflected back positively by those who care for them. When children are ridiculed, criticized, treated with contempt, disdain or generally judged harshly, they cannot fathom that they are being treated unfairly or that their caregivers are somehow inadequate, rather they believe that they deserve the treatment that they are getting and that they are inherently “bad”. In other words, they internalize the belief that there is something wrong with them in response to such treatment and they feel ashamed of themselves. Similarly, self abandonment stems from the caregiver’s abandonment of their children. When our feelings and needs are not attended to in a loving, nurturing and consistent way including when we have difficult feelings such as sadness, anger, grief and depression, we tend to turn away from ourselves as adults when we experience these things. We lack the capacity for self compassion because we never received compassion and don’t have a felt sense of it. We say to ourselves in effect, I cannot afford to feel, acknowledge or extend compassion to myself when I feel or need the things that my caregivers rejected in me. Instead, we do things like deny, project, self-medicate, act out or redouble our numbing or perfectionist tendencies rather than lovingly attend to and nurture ourselves. The so-called inner critic that may develop is paradoxically the child’s way of attempting to stay safe. When children are anxious and fearful, they attempt to stay safe by internalizing the caregivers rules in the hopes that they will gain acceptance and approval from them. Children say to themselves “if I do exactly what I am supposed to do and I am perfect in this way or that way (including by denying feeling certain things) then maybe I will get the care that I so desperately need”. In other words, children come to believe that if they hide their needs and vulnerabilities and make themselves outwardly all the things that their parents want from them, then maybe they will win the loving and nurturing that they crave. Each time they fall short of this perfectionistic goal, they become increasing self critical and redouble their efforts such that the inner self critic becomes a perfectionistic drill sargent. Being neglected or abused leaves a child with a profound sense of not belonging anywhere or to anyone. Children tend to develop a sense that people are dangerous and not to be trusted. In addition, in the absence of attentive and caring parents, the child has no safe base from which to explore the world socially. There is no place of refuge to which to return in order to consolidate or integrate experiences in the world and learn more adaptive strategies or approaches. A child is left feeling fundamentally without backing, insecure, alone and unsure of himself. This leads to intense social anxiety. Moreover, when a child feels shameful, dejected and hopeless it is difficult to be socially engaged, rather the tendency is to want to withdraw and isolate oneself like a wounded animal. The next post in this series will cover the ways a person can begin to heal from CPTSD. If you think you may be suffering from CPTSD and you would like assistance, please feel free to contact me.